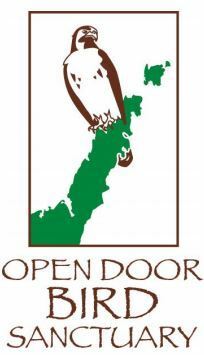 The Open Door Bird Sanctuary raises avian awareness and inspires coexistence with the rich natural world of Door County, of Wisconsin and wherever you call home. Founded in 2010, the Sanctuary, situated on 34 acres, is the only facility of its kind in the area. It offers a unique combination of environmental and wildlife education featuring live birds of prey and interactive programming both on site and off. The birds in our care are unable to be released into the wild and find safe haven with ODBS. Care Center which serves as both a staff/volunteer base and indoor housing for a few of the birds. The Master Plan for ODBS includes purchase of the leased property, adding a Visitor Center, a walk-through songbird aviary and an avian clinic so that we are able to add rehabilitation to the services we offer Door County residents and tourists. Since 1876, Bayside Cemetery has been a spiritual place, possessing a quiet dignity that honors and celebrates the lives of our loved one. The Cemetery’s tranquil grounds offer not only finely sculpted monuments, but also an abundance of Mother Nature’s artistic handiwork. The natural beauty of these 27 acres imparts a serene feeling in all those who walk in this peaceful park-like setting. Bayside Cemetery has maintained a standard of excellence by providing families with comprehensive cemetery services of the highest quality. Just north of the Sturgeon Bay city limits, beautiful grave sites and professionally maintained grounds distinguish Bayside as one of the finest cemeteries in Door County. The Bayside Cemetery Charitable Fund provides an opportunity for the community to support the maintenance of the chapel, grounds, and other facilities of this historic cemetery. Founded in 1976, Birch Creek is Door County’s unique residential center for music education and performance. Its mission is to provide intensive, performance-based instruction to promising young musicians by immersing them in a professional and mentoring environment. Birch Creek is a school by day and a concert hall at night. During the day, music students ages 13-19 are involved in rehearsals, classes and seminars, working closely with faculty members who mentor them as musicians and guide them as young adults. At night, students join faculty to perform public concerts that directly serve Birch Creek’s mission by giving students diverse training of the highest quality as well as the real-life experience of performing before live audiences, and of performing with the frequency and varied repertoire that is required of professional musicians. Since its first class of 12 students in 1976, more than 6,000 students have studied and performed at Birch Creek. A lot of people know Door County as vacation land. While that is true, there is also a lot of working people whose hard work year round helps make Door County the beautiful place that it is. Many of these working people have families and an increasing number of them rely on the services such those offered by the Boys & Girls Club of Door County. As the old saying goes, “it takes a community to raise a child.” An increasing number of children are at home with no adult care or supervision. Young people need to know that there is a place to go during these times. The Boys & Girls Club of Door County offers that and more. Club programs and services promote and enhance the development of boys and girls by instilling a sense of competence, usefulness, belonging and influence. Crossroads at Big Creek is an environmental preserve welcoming learners of all ages to programs in science, history and the environment. Begun in 1991 as a school forest, Crossroads is now a private donor-supported nonprofit. While schools still use the Collins Learning Center and environmental preserve extensively, Crossroads also offers or host classes, lectures, workshops and conventions for learners of all ages in its lecture hall and other facilities. Visitors enjoy the environmental exhibits and each summer, the laboratory is utilized by researchers working on Great Lakes and water quality issues. Countless Door County residents and visitors use our trails for environmentally friendly recreation and exercise. Crossroads also collaborates with the Door County Historical Society in offering experience-based programs in the Historical Village at the Crossroads and with the Door Peninsula Astronomical Society and School District of Sturgeon Bay in operating the Leif Everson Observatory and Stonecipher Astronomy Center. DOOR CANcer, Inc. is a community based charitable organization dedicated to helping Door County residents with financial needs during treatment for cancer. It strives to make life a little easier for families who are living with cancer by offering financial assistance with the costs of everyday living. While DOOR CANcer does not pay medical bills or cover prescription drugs, the organization will assist families with rent or mortgage payments, insurance premiums, transportation and lodging costs related to treatment, utility bills, food for the family and other non-medical expenses as determined appropriate. DOOR CANcer does not employ any staff – all time is donated. Recipients must reside in Door County and be in active treatment for cancer. Generally, no funds are awarded directly to the applicant. Payment coupons or account numbers must be provided to DOOR CANcer and payment will be made directly to the company or vendor owed. In 1995 a group of folk musicians and dance enthusiasts, led by Cy Rosenthal of Sturgeon Bay, came together to play music and hold barn dances, bringing together multiple generations for fun and fellowship. Cy saw local folk bands as a way for musicians to play together, support each other, and improve their skills. Cy died in 2010, but the all-volunteer organization he founded continues his goal of building community through music and dance. The central activity of the alliance is a series of monthly barn dances – all open to the public – with live music provided by the Alliance band, Sugar on the Floor. The Alliance coordinates regular music “sessions” to provide local folk musicians with opportunities to learn new music and hone their skills, as well as supplying music & dance for community and special events. Donations to the Door County Folk Alliance are used to pay for dance callers, rental of the dance hall, the organization’s insurance, equipment, outreach and educational materials. Lost, abandoned, seized, and surrendered companion animals find warm beds, medical care, and ultimately a new forever home once they reach the Wisconsin Humane Society Door County Campus. Animals arrive 24 hours a day, 7 days a week, so the facility must be constantly staffed. Animals arrive from every part of Door County, including Washington Island. 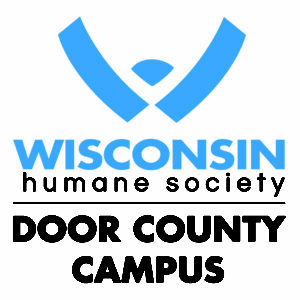 WHS Door County Campus provides a safe haven for lost or homeless pets while working to reunite them with their owners or place them with a new loving family. WHS Door County Campus also encourages responsible pet ownership through education, training and spay/neutering. WHS Door County Campus receives less than 5% of its budget from government. Generous benefactors, members, businesses and Humane Heroes contribute 95% of the funds needed to keep the doors open and supply shelves filled. No animal found in Door County is turned away. This is possible only because of financial and volunteer help from so many open-hearted supporters. The Door County Land Trust is dedicated to protecting Door County’s exceptional lands and waters and connecting our community to the most scenic and ecologically important landscapes that grace Door County. The Land Trust has already protected over 8,000 acres, created many public nature preserves throughout the county, and established over 20 miles of inspiring hiking trails for the public to enjoy. But there is more critical work to be done! The Land Acquisition Fund provides the financial resources for the purchase of ecologically sensitive lands in urgent need of protection, allowing the Land Trust to respond quickly to opportunities to protect lands as public nature preserves and natural areas. Door County Library provides materials in a variety of media that record human knowledge, ideas and culture, then organizes these for ready access. It offers guidance and encouragement in their use for all County residents and visitors. Services include books, magazines, online databases, music and film that is lent from the eight library sites in Forestville, Sturgeon Bay, Egg Harbor, Fish Creek, Baileys Harbor, Ephraim, Sister Bay/Liberty Grove and Washington Island. Public access computers are available at all locations and wireless computer access can be found in and around all of the libraries. These services are critical for job applications, tax filing and as knowledge sources. More and more government and employment information is available only online. The online databases provide access to national newspapers and our local Peninsula Pulse and Door County Advocate. Informational programs for adults and youth to foster learning and reading are held year round.